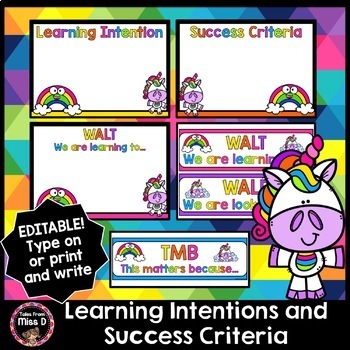 Display your Learning Intentions with these Posters and Cards. 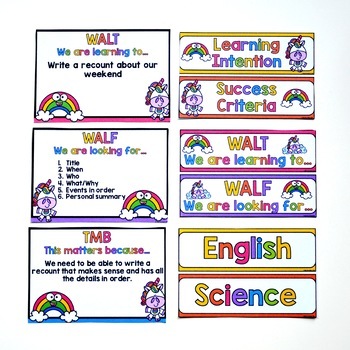 The posters are designed to be written on or typed onto. Also includes editable subject headers.